If you’ve ever wondered what the phrase “dog days of summer” actually means, consider the fact that a 23 year-old college player, who has never suited up for an NHL game, is the center of a media-fueled frenzy. That’s how you know the news cycle is a little slow. In Vesey’s defence, it’s mainly the media that has thrust him into the spotlight rather than the kid himself, but it’s almost become laughable. Is the story as big a deal as Twitter would suggest? Probably not, but this is the world we live in. No one has any idea how Vesey will perform in the NHL. Highly sough-after college free agents are hit and miss, though often saddled with expectations that they can’t possibly meet (see: Justin Schultz). The hoopla over Vesey shows how desperate teams are to find good players, particularly players that they don’t need to protect in the expansion draft. 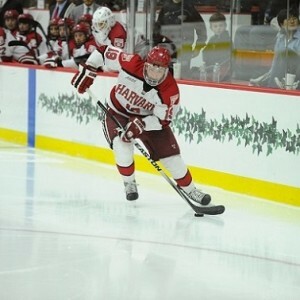 He’s had a couple of great seasons at Harvard, scoring 56 goals in 70 games. The talent and potential is there, hence why the Nashville Predators were disappointed that the former 66th overall pick elected not to sign with them. The Buffalo Sabres (who acquired his rights in a trade) are still in the running, the Boston Bruins are there, the Chicago Blackhawks are a favorite (because they deserve more talented players for nothing, of course), even the Pittsburgh Penguins are making a pitch. Which team will Vesey choose? We likely won’t know until later on the week, and this drama will finally be over with. While I think the perception of Vesey is entirely overrated, I’d imagine that his suitors know exactly what to expect.